At the core of the discussion, we all have a basic understanding of what pet stores are looking for: products with low risk, high turnover, and high margins. But, what does that actually mean once you break it down into actionable steps? The key to designing pet products that pet retailers can't say no to is to make them stand out, have high quality, are at the right price point, and fit with their current selection of products. Saying No to "Me Too"
But is that really the best way to make products people have to have? We've all seen it before - the aisles of look-alike products at major trade shows such as Global Pet Expo and SuperZoo. While it works on occasion, there's only so many times a product can be knocked off before it loses its value. Instead, use this as an opportunity to see what you can do different or better than the competition. Of course, this is often easier said than done, and takes a bit of creativity. For example, perhaps you notice that a few manufacturers are missing the mark when it comes to the packaging of their products. You know that retailers prefer a certain type of packaging, and that's just not what they're getting. This is an opportunity for you to stand out from the crowd by showing up with a product that truly adds value to those potentially bringing it into their stores and, ultimately, the end consumer. Today's pet owners are pickier than ever about the quality of the products they buy for their pets. In fact, many are willing to splurge on their furry friends. After all, they've become a part of the family, haven't they? Depending on whose doors you're vying to get into, quality may be the key difference between a "let's give it a try" and a firm "no, don't call me again." This is especially true if the retailers' customers primarily consist of millennial and generation Z pet owners. In an age when nearly everything is digital, quality means more than ever. In the past, manufacturers could get away with producing low quality products and overcharging them because it would take a long time before word got around. Now, within just days of the end consumer purchasing your product, even one or two bad reviews will negatively impact sales for both you and your retailers. In order to ensure your products are of the highest quality possible, pay special attention to detail and perform quality assurance practices every step of the way. Even something such as a loose buckle or splitting wood is a cause for concern and should be looked into and solved before ending up at a consumer's doorstep. You may have seen this before: a retail buyer looks at your product, ohhh's and ahhh's, and asks how much. You pass them a pricing sheet with your cost and the MSRPs (and MAP, if you have it) outlined, and suddenly they are no longer interested. A product may be one-of-a-kind and of the highest quality possible, but if it's not at the right price point that makes sense to a retailer, you're going to get an immediate "no." Do your research and do what you can to price your product at the ideal price point. Of course, you want to preserve plenty of margin for yourself as well, but if you can't even sell it to a retail buyer, how are you going to make that margin? Related Article: How do MAP Policies Affect the Pet Industry? Bonus: It's always good to have some wiggle room for negotiations and promotions. Sit down with a spreadsheet and calculate your costs. Figure out the lowest you're willing to take as well as your ideal number. This is not a strictly scientific on how to price your products, but should help give you a good idea on where to get started. The last thing you need to do is make sure you're selling your product to the right retailers. Believe it or not, not all retailers are made the same, and different stores have different goals and strategies in mind. For example, if you're trying to sell a high tech pet product at the early adopter stage of the product lifecycle, then selling to a single-store natural pet store in Nebraska is not likely to be your best bet. Conversely, if you're thinking of selling all-natural insect-protein pet food to a big box store, they may not bite until there are enough sales to prove its value. Before you peddle your product to just any pet store, it's a good idea to go in with a strategy and an outline of which stores are an ideal fit. This way, you will have a higher success rate when selling to these stores and increasing your market share. 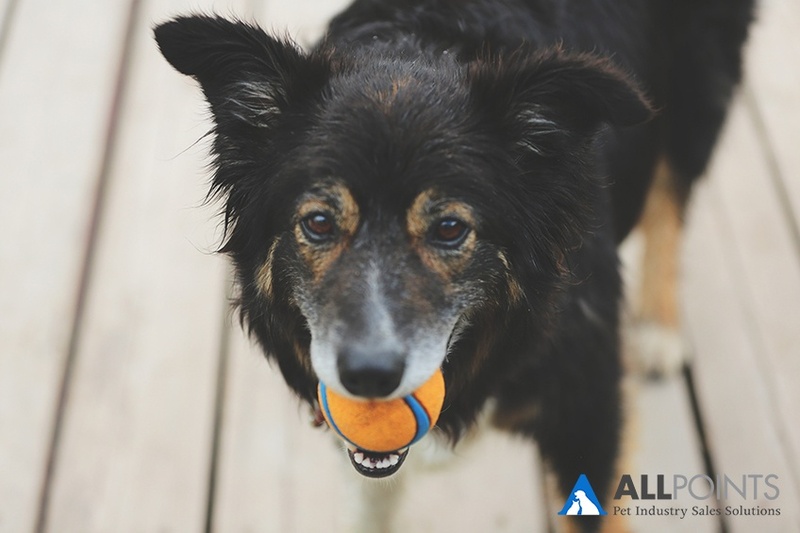 Are you a retailer who has specific criteria for pet products you accept in your store? Leave a comment below and let us know. We'd be happy to include it!